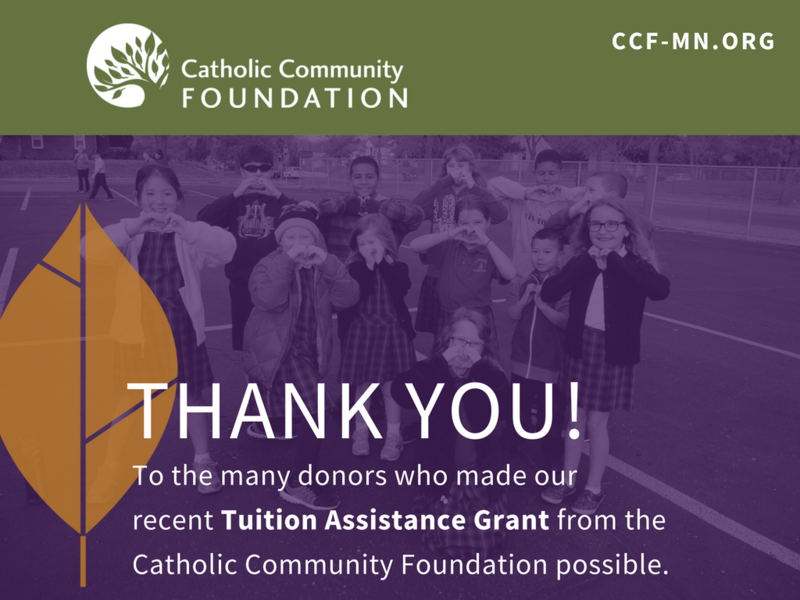 St. Raphael School is happy to be a recent recipient of a Tuition Assistance Grant from the Catholic Community Foundation (CCF). This grant was made possible by many donors – past and present – whose belief in the power of endowment has allowed CCF to steward and grow endowment funds. These funds provide annual grants to our Catholic schools in order to make Catholic education accessible to more and more students. The Catholic Community Foundation, located in St. Paul, is the largest Catholic community foundation in the nation and is committed to supporting the spiritual, educational and social needs of our community.